It all began with three partners and their idea of starting a one-of-a-kind seafood buffet business. One of the partners, my husband Jerry Dowless, decided to buy out the business in May of 2003. Unfortunately, Jerry passed away in August of that same year, leaving me and my three children with a tough decision. We are so glad we made the choice to carry on our dreams because, today, we can proudly celebrate being in business for 20 fun and successful years. 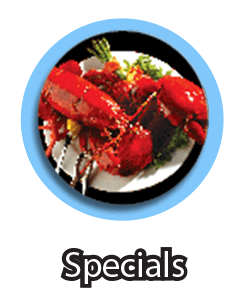 Jimmy’s offers the usual seafood fare, but with an emphasis on a Caribbean twist, giving our food choices diverse flavors from all over the world. When it comes to our buffet, we have high hopes you will not be disappointed with all that is offered. Undoubtedly you will find unique seafood options as well as traditional Southern food and made-to-order desserts! In addition to our tasty food, our welcoming and down-to-earth staff will certainly make you feel at home when dining at Jimmy’s Seafood Buffet. 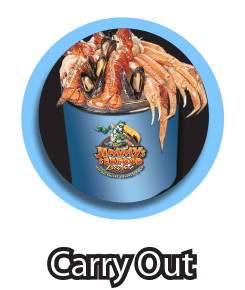 Get our “Seafood Bucket” Delivered to your Door! We went in for the buffet and got a pleasant surprise… a free lobster with our buffet. It’s all you can eat seafood and it was about the best fresh seafood I have had. 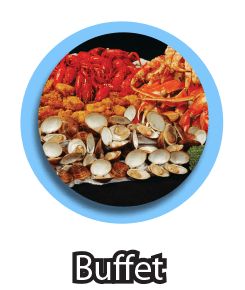 My family of 16 are at Jimmys Seafood Buffet in August 2016. What a great place to eat and the staff was so awesome! Had a fun time here drinking and eating until I was in a coma. Kas was the best waitress ever! My family and I are staying in Corolla and went to Jimmy’s for dinner. It was amazing! Popular seafood buffet. Numerous choices. Went customer appreciation night. Fantastic price. Hubby loved it. I thought it was good. I’ve been to Jimmy’s Buffet every time I’ve been to the outer banks in the last ten years (5 times) and I went twice the last time! Arrived around 430 on a Wednesday when they had 8 different types of crab. Everything on the buffet was fresh and delicious.